Such cute little boys! 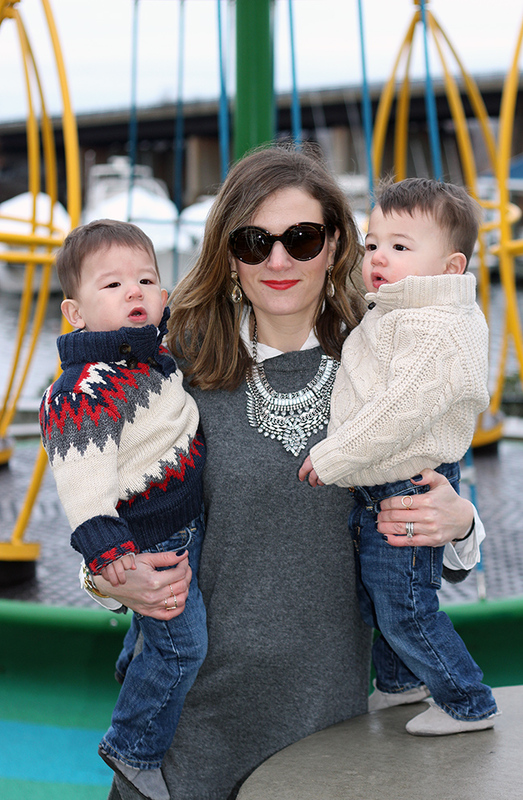 I love their sweaters! And your sweater dress too! Gorgeous! This is so sweet! Such stylish little boys!! What a fun post! You all look so great. I am loving your layered dresses. Your little ones are so cute! Sad this dress in no longer online. I love the length of it! Have a wonderful holiday, Rachael! Oh my goodness your boys are absolutely precious! Their little facial expressions are too cute. I love that dress, the look of the layers but the feel of just one dress makes it seem so comfy! Great find! I hope you have a merry Christmas!! Rachel (with Taylor and Mason) thank you to the three of you for being part of my Mommy+Kid Christmas Collaboration. It was so much fun and all three of you look adorable. 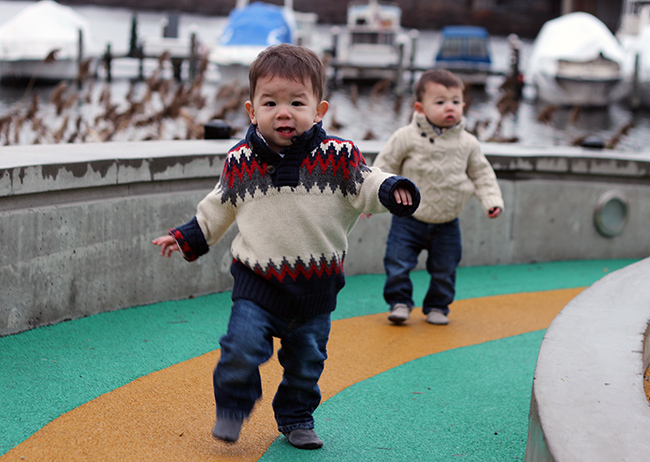 I love their cute little sweaters. That last photo of the three of you is my favorite. So previous, it must be framed. I also love the sweater dress and how it is layered with a shirt underneath. I want to buy it NOW! I meant to say so precious (about the photo). So precious, Rachel! These photos with your boys are priceless...and they are so doggone cute! I love the candid feel. And, of course, I am in love with your Christmas ensemble. I have got to get about and get myself a sweater dress! Merry Christmas! You are the boys are looking so festive. What great photos, Happy Holidays Beautiful. Your little boys are so cute. These are lovely photos and you look wonderful. 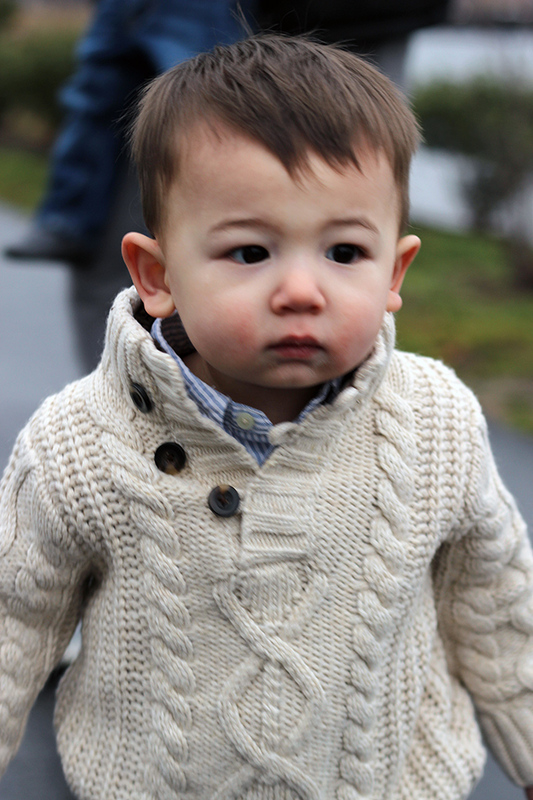 I love layering and how you added a bit of sparkle to cozy knit. I have this necklace in my wishlist at Mirina Collections too! Love your boys, too, so adorable! Love these Christmas morning looks! Your boys are so freaking cute! Hope you and your beautiful enjoy the holidays! 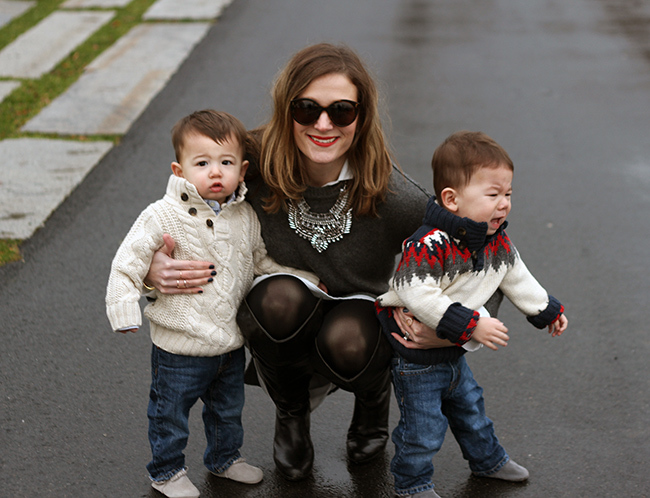 your boys are so stylish and what a gorgeous statement necklace! Great looks. Love the boys sweaters! That dress is super cute on you! I can't believe the great deal u scored on it. Hahaha awe well ur little boys are super cute so it was definitely worth having them in the photos!:-). Hope ur weeks off to a great start ! Such sweet photos! Your boys are so cute!